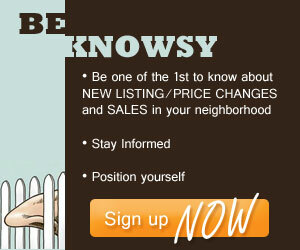 Getting ready for the sale | Koa Realty, Inc - Search Big Island Hawaii Properties for sale. Once you have committed to selling your home, there are a number of things you can do to help get the best possible price in the shortest amount of time. We at Koa Realty are experts in marketing homes. However, selling your home is a joint effort with you playing an important role in the final results. Your major role is to make your home as attractive as possible to potential buyers. Take an inspection tour of your home, in doing so, try to observe it as a potential buyer would. Take note of any minor repairs and painting that need to be done. Make a list of these small repairs and make them a priority to address. Here are some tips which have proven valuable to homeowners in preparing their homes for showing. Since the exterior of your home will be the first thing a prospective buyer sees, it is very important to create a good first impression starting from the inside out. – Keep the lawn trimmed & edged. Weed & cultivate flower gardens. Trim shrubs & eliminate dead trees or branches. Pick up any debris, toys, & lawn equipment. – Repair any fences or gates. Give them a fresh coat of paint, if necessary. – Is the exterior well painted& the roof in good repair? Are gutters and down spouts in good working order? – Wash down driveways and sidewalks. Check them for cracking and crumbling. – Replace any cracked windows and torn screens. – The entrance should be clean and in good repair. The doorbell and front light must be in good working order. Start with a full housecleaning from top to bottom. Don’t let dirt & clutter obscure your home’s good points. Discard unused & unnecessary items in storage areas & closets. Eliminating clutter will give your home a more spacious look and feel. – Walls should be clean & free of smudges, fingerprints, & dents. Consider a fresh coat of paint. Inspect woodwork & wallpaper for problems or blemishes. – Arrange furniture to make each room appear as clean, tidy and spacious as possible. Store badly worn furniture. – Wash windows & sills. Launder curtains & drapes. – Shampoo rugs and carpets. Floors should be waxed. – Fix leaky faucets and eliminate discoloration in sinks. – Tighten loose stair banisters, & be sure steps are free of objects. – Light fixtures should be in good repair. Replace discolored or cracked switch plates. – Clean out closets to display their roominess. Be sure clothes are hung neatly other objects tidily arranged. – Bathrooms should be sparkling clean. Repair caulking in tubs & showers. – Bedrooms should be neat with attractive spreads & curtains. – Clean & organize the basement, attic, & garage. Many families tend to live with a broken doorknob & cracked window. All of these little things should be fixed because no prospective buyer wants to do the maintenance you have deferred. Use caution in planning major improvements that you think will enable you to get more for the house than you paid for it. Of course, an investment in paint where it’s obviously needed will be well worth the cost. The same is true with carpeting shabby enough to be a turn-off. Most people out shopping for a house would rather plan their own major changes, & you are usually wiser to sell to them the potential at a price they can afford. – The TV & radio should be turned off. Let the salesperson & buyer talk, free of disturbances. – Send children & pets outdoors to play. 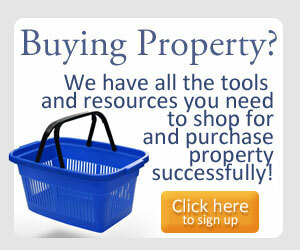 This will eliminate confusion & keep the prospect’s attention focused on your home. – Leave drapes open for light & airiness. All lights should be turned on to give the rooms a larger appearance & cheerful effect. – Be sure the kitchen sink is free of dishes and rooms are uncluttered. – Be courteous but don’t force conversation with the potential buyer. They want to inspect your house, not pay a social call. – Never apologize for the appearance of your home. After all, it has been lived in. Let the agent answer any objections. – The salesperson knows the buyer’s requirements & can better emphasize the features of your home when you don’t tag along. You will be called if needed. 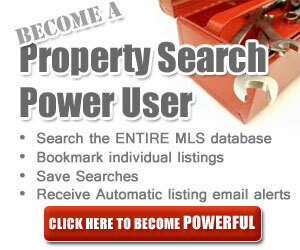 – Let the Realtor discuss price, terms, possession & other factors with the customer. One of the most important things we can do for you is to view your home objectively and make suggestions that will improve it’s appearance and marketability.